Margo Channing: “Fasten your seat belts, it’s going to be a bumpy night” (and tour – through celebrity). Bette Davis sits in her chair as the Muse of Tragedy, with Pity and Terror (actors) standing behind her. Down in front, a woman reaches up with final touches, homage to a diva, or perhaps her makeup, before the show. This 1957 photo, from the Pageant of the Masters at the Laguna Beach Festival of the Arts in California, recreates a famous 1784 painting, Mrs. Siddons as the Tragic Muse by the English celebrity painter Joshua Reynolds. Two famous actresses in different centuries capitalize on their stardom. 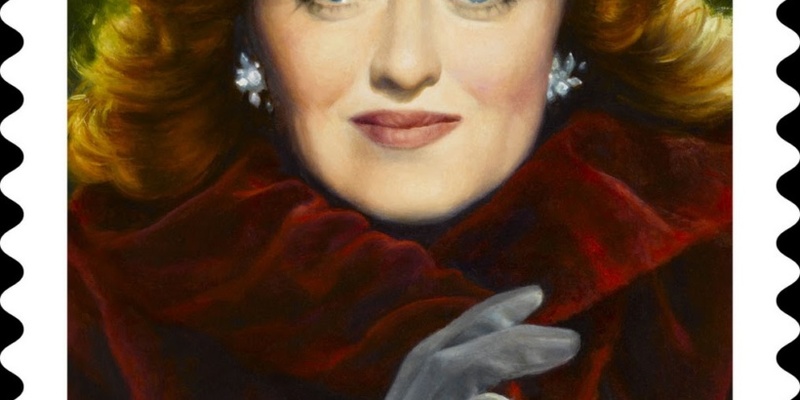 Bette Davis, born 110 years ago on 5 April 1908 in Lowell, Massachusetts, was an English New Englander with a touch of Welsh going back to Glamorganshire, Wales, from Sybil verch Morgan and the St. John family. Out of ten Academy nominations, she won the Best Actress Oscar twice. Sarah Siddons, born in Brecon, Powys, on 5 July 1755 to English actors Roger and Sally Kemble while touring with the Warwickshire Company of Comedians, was the epitome of quality acting in her time – a star. Davis, a slightly dimming Hollywood star in 1957, had volunteered to help the local arts community festival, known since 1933 for its tableaux vivants, or “living pictures,” in which real people reimagined famous paintings with costumes, lighting, and props. Davis impersonated Sarah Siddons, the famous British tragic actress of the late 18th century, the Queen of Drury Lane, famous for playing Lady Macbeth while pregnant (which made Macbeth’s line “Bring forth men children only” especially relevant). The Muse of Tragedy, Melpomene, is one of the nine inspirational goddesses of the liberal arts in ancient Greece. The word “muse” comes from the root word men, originally meaning “to think,” coming down to us in English in such words as mind, mention, monster, mania, money, and music. Stars may come to mind, mentioned as celebrity monsters inducing mania and making money, possibly to music. While the modern Kardashians may flourish with Thalia, the Muse of Comedy, impersonating a goddess is not new. In the 1950 Hollywood movie All About Eve, Bette Davis, starring as Broadway idol Margo Channing, throws a party in her apartment. A copy of the Joshua Reynolds painting hangs on a wall in the background while a voice-over names the “highest honor our theater knows: the Sarah Siddons Award for Distinguished Achievement.” It’s not won by Margo Channing but by her nemesis, Eve Harrington, played by Anne Baxter (herself a granddaughter of Welsh-American architect Frank Lloyd Wright). Originally invented by screenwriter and director Joseph L. Mankiewicz for his movie All About Eve, the cinematic Siddons statuette later became real. The Sarah Siddons Society, founded in Chicago to promote excellence in theatre (yes, influenced by the film) gave its first award in 1952 for an outstanding performance two years after the movie opened. Bette Davis herself won the actual award in 1973. Echoes abound in this story of goddesses and stardom. One year earlier in 1972, Lauren Bacall won the Siddons Award in Chicago for starring in the touring Broadway musical Applause, based not (quite) on the movie All About Eve, but on the original Mary Orr short story, “The Wisdom of Eve,” that started it all the musing. When Bacall left the New York production of Applause to go on tour, Anne Baxter replaced her. But Baxter, celebrated as she was, never really won the Sarah Siddons Award – ever.